Like other milling machines, buying pavement milling machine requires the buyer to have enough information about the machine. One of the biggest mistakes that people make, especially first-time buyers, buying the machines without any reference. That leaves them at the mercy of salespeople to tell them the best machine. To buy like a pro, you should be guided by some factors that make a good pavement milling machine. This is the best ways to ensure that you are getting the best machine in the market. In this post, we are going to look at some of the key factors that buyers should look out for in a pavement milling machine. Milling is one of the intensive machine activities and requires a huge investment to start. Therefore, the first thing that the contractor looks out for is to recoup the investment. The payment is done on the output of the machine. That is why the productivity of the machine is a crucial factor that you need to consider. However, productivity is tied with the performance of the machine. You need a machine that can offer the highest performance possible. Check the power of the engine powering the machine amongst other factors. That is how you can get the most out of the machine. The other factor that you need to look for in a pavement milling machine is the efficiency of the machine. Although this may not be read in the machine directly, you need to consider some factors that can tell how efficient the machine will be in milling. 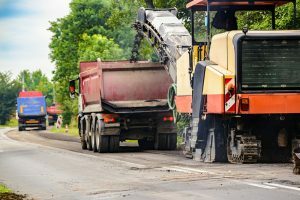 One of the key things that you should consider is the horsepower rating about the kind of pavement milling you want to do. Check if the pavement milling machine can provide the need power. The other thing that you need to check is the quality of the milling teeth. They should be made from the highest grade materials. Tungsten carbide tipped teeth offer the best efficiency. Another thing you should look for in a pavement milling machine is the maneuverability features. Due to the kind of task that these machines handle, maneuverability is an important factor to consider. It enables the machine to deliver better performance and productivity. That is why you need to consider a kind of that can work even in most awkward situations. It should be able to turn the sharpest corners while making pavements.